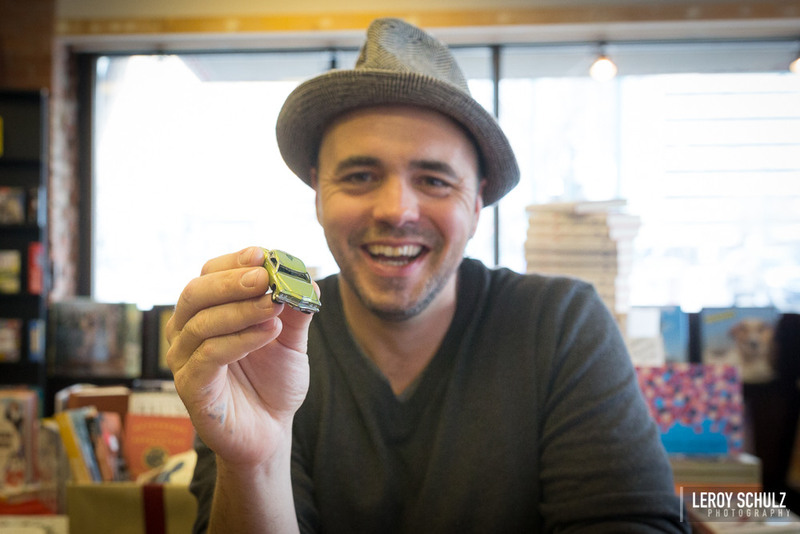 Signing Off With Hawksley | Miguelito's Little Green Car. We are all connected. Hawksley Workman is a Canadian rock singer-songwriter known for his cabaret pop and glam rock. Over his career, he’s released eleven full-length albums. He is a multi-instrumentalist, playing guitar, drums, bass, keyboards and singing on his records and often switching between those instruments when playing live. He usually writes, records, masters and releases entire albums in the span of a few weeks. His music has been featured on the television shows Scrubs, Being Human, Falcon Beach, Queer as Folk and Whistler. He produces and engineers much of his own recording, and has produced albums for other artists as well. Enjoy Hawksley’s Smoke Baby below. Hawksley is the son of a percussionist. In 2002, he won the JUNO Award for Best New Solo Artist and also received the award for Best Video for “Jealous of Your Cigarette“. He was born in Huntsville in the Muskoka region of Ontario. London’s Time Out magazine called his “quite possibly the coolest thing to come out of Canada”. He’s played nearly a thousand shows in over 15 countries.